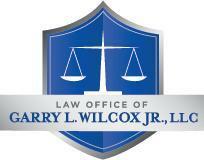 At the Law Office of Garry L. Wilcox, Jr., LLC, in Fallston, Maryland, my law firm stands ready, willing and able to represent people who have sustained personal injuries as the result of someone's negligence or misconduct in Harford, Cecil and Baltimore counties and the surrounding Maryland areas. With over 13 years of experience aggressively representing my clients' best interests in their personal injury lawsuits and Social Security Disability claims, I am proud to be known as the attorney who cares. Starting with their free initial consultation, my clients at the Law Office of Garry L. Wilcox, Jr., LLC, know I will treat them with the respect, dignity, compassion and personalized attention they seek and to which they are entitled. I take the time to listen to their stories, answer their questions fully and frankly, advise them of their options and make sure they know what to expect from the legal process we are undertaking together. I make it a point to make my law office a warm and inviting place where my clients can feel comfortable and know that they are far more than mere cases and file numbers. I am proud to be a solo practitioner. It gives me the opportunity and duty to fully communicate with my clients. I answer my own phone, return my clients' calls within 24 hours and promptly respond to their emails. In addition, my office accepts credit cards.